Water Wells for Africa (WWFA) is deeply concerned about the people of Malawi, and we know you will share our concern as you learn about what is happening there. 250 square miles are under water, including many water sources and some of the wells we’ve installed. Malawi President Peter Mutharika has declared 17 of the 28 national districts disaster areas. With your help in the past, WWFA has installed wells in 11 of these 17 flooded zones, but due to difficult access we don’t know yet which remain functional and pure. 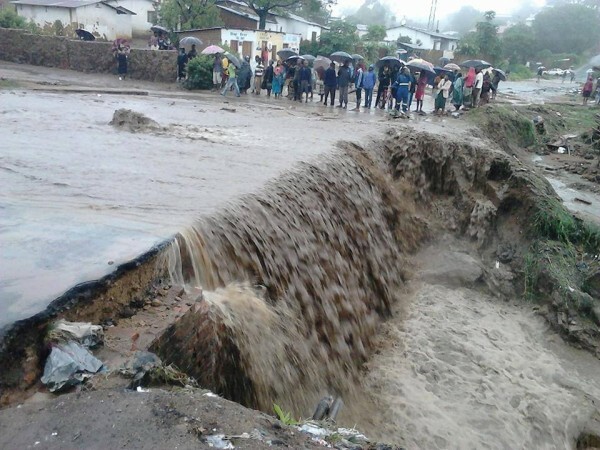 Early reports say this is Malawi’s worst flood season on record…and it’s still raining. Because of caring people and generous supporters like you, we have been working in this economically depressed area since 1996, bringing clean and accessible water to many villages. We’ve made countless friends and care about each person there, so it is even more distressing to learn of the extreme hardship that they are currently enduring. They need our help. They need your help! WWFA has contacts on the ground there to get emergency supplies to those in need. Chlorine and water treatment kits are urgently needed. Will you please help cover the cost of these live-saving water purification kits? The district of Phalombe, in the southwest, is one of the worst affected areas in Malawi. You may remember meeting Teresa from the village of Mwangala in Phalombe. We videotaped a “day in the life” of Teresa and walked with her along her 1.5-mile route to the banks of a river where she filled her bucket with 65 pounds of dirty water to carry back home. We were thrilled to install a well in her village, and celebrated with her and her village when the clean water gushed out of the pump. As of this writing: we are unsure of their fate. We fervently hope that they are not physically harmed! Unfortunately, the well we installed in their village–and many others like it–may be underwater. 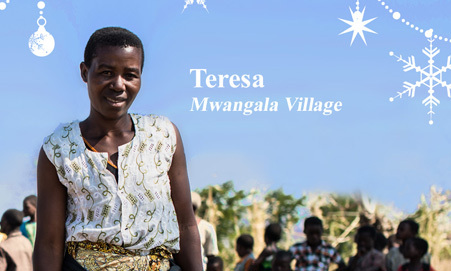 We will share news of Teresa and Mwangala Village with you when we have it. Reports are still coming in, but at least 62 people have died and 153 more are missing. About 200,000 people have been driven from their homes in the last month. Large areas in the south of the country (where we work!) are under water, and homes, crops, and livestock have been washed away. Approximately 370,000 people require urgent food and other relief assistance according to the United Nations World Food Program, and a Malawian minister of parliament has sent a letter to WWFA with a specific request for help. We will, of course, do all we can! As you know, clean drinking water is essential for life and is the focus of our mission. Our contacts in Malawi know which areas need help, and they know how to get supplies where they are needed. We are already organizing the purchase and distribution of chlorine and water treatment kits. How can you make a difference? We need you to provide the funds to buy these life-saving supplies! Please make the most generous donation you can, and get immediate help to the many people in need. You can make a REAL difference RIGHT NOW! Floodwater has contaminated many clean drinking water supplies. Contaminated water could lead to an outbreak of cholera and other diseases. Your donation of $15.00 will provide one family with water treatment kits for a month! We can save lives together, today!